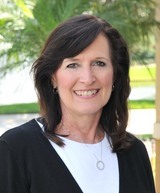 Pam has been a resident of Seminole County for over 40 years. With 11 years of experience as a Licensed Real Estate Professional, she will assist you with your purchase or sale of residential or investment properties. Pam is result-oriented while taking the time to get to know her clients and their unique needs. Known for exceeding expectations, Pam works hard to guide you smoothly through the real estate transaction and help you reach your real estate goals. She is a member of the Orlando Regional Realtor Association, The National Association of Realtors, and is a Certified Relocation Specialist.